More information: Salva are back with their 5th album, the follow-up to the highly acclaimed “Sigh of Boreas”, released in 2016. 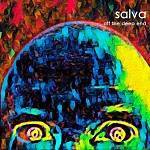 The new album consists of 9 tracks filled to the brim with Salva’s unique trademark sound combining symphonic prog, hard rock/metal and folk/singer-songwriter. The band’s influences range from the 70’s prog by Yes, Genesis, Jethro Tull and Pink Floyd via hard rock/metal Black Sabbath, Deep Purple and Rainbow to Scandinavian and Celtic Folk mixed with pop sensibilities and even the odd splash of Jazz for good measure.